July is National Desexing Month! The Lost Dogs’ Home is getting on board to offer discounted cat and dog desexing to help those who need it most. Thousands of unwanted kittens and puppies are born each year. Some find homes, while others end up in animal shelters or face life on the streets. Desexing your pet means they’ll never contribute to the high number of homeless animals in our community. Plus, it can help make them happier and healthier. 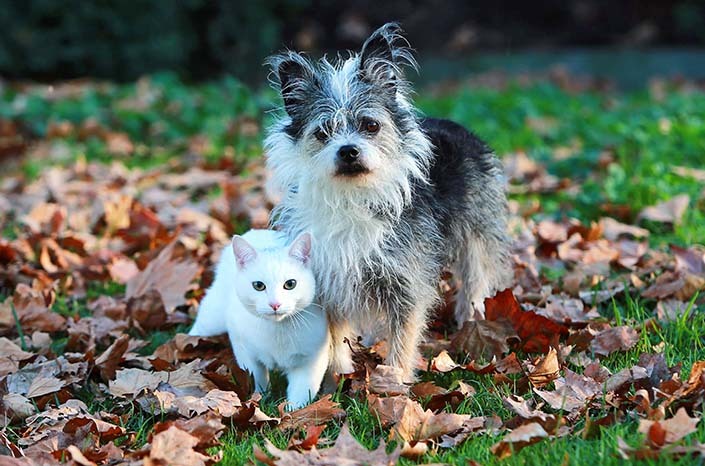 Desexed pets generally live longer and healthier lives. Desexing can help prevent the development of certain types of cancer and other issues with the reproductive system, including mammary and uterine cancer in females, and testicular cancer in males. It can also help to settle your pet’s behaviour. They’ll be less likely to wander, fight, or show anti-social or territorial behaviour, such as mounting or spraying. Cats and dogs can start breeding from a young age. An unplanned litter means a lot of work for you. It will be your responsibility to make sure the kittens or puppies are vaccinated, flea and worm treated, microchipped and desexed (which is very expensive), and ultimately, re-homed to responsible new owners. Desexing your pet is simple. If you love them, desex them. From 1-31 July 2016, The Lost Dogs’ Home Frank Samways Veterinary Clinic is offering discounted cat and dog desexing on presentation of a pension card, health care card or concession card. To book or find out more about discounted desexing this July, contact the friendly team at our Frank Samways Veterinary Clinic on (03) 9329 2755.